Like most of my NOLA adventures, this one was birthed from nonsense. It seems I routinely fail to take life seriously. It was midweek. If I remember it right, this journey began in the early hours of a Wednesday. I was at my desk working on a story, a couple glasses of Pinot Noir deep – and by a couple, I mean I forgot to count – when out of nowhere, my iPhone lit up like a Parisian summer night. My book editor has a nightly habit of moon watching. He was on his front porch in Seattle, slipping into a cerveza, giggling and texting me bad one-line jokes. I’m talking brilliant but stupid humor. I consumed them one by one like stale cookies. Suddenly, a joke came through with a punchline reminding me of a story somebody had told me years before. I typed it out and sent it back to him. It was one of those annoyingly long texts that asks you to select another viewing option. I kept checking to see if his dots had turned into a text back. I felt obsessive compulsive. The suspense was killing me, and then his text popped -a laughing-so hard-it’s crying emoji. Relief, I could breathe suddenly. But it wasn’t over. He hit me with a dare. Maybe I watched too many Back to the Future movies, but when someone dares me to do something, it’s like calling Marty McFly a chicken. A New Orleans comedy open mic: Challenge accepted, I was fully committed. 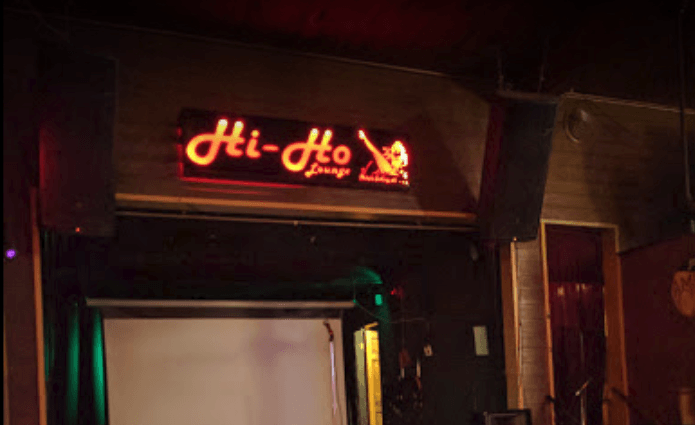 After a quick google search, I found the Hi-Ho Lounge on Saint Claude. Sundays. 8pm. NOLA COMEDY HOUR. For 3 days, I rehearsed my bit in an alley off Canal. Only the pigeons found me funny. I think I scared the homeless. And that was all the confidence I needed. My entourage and I rolled into the Hi-Ho unfashionably early. Sign up was at 7:30 and we arrived at 6:45. Through the doors, the club didn’t let down. It had that immediate attraction of a classy comedy spot filled with black velvet chairs and tiny round tables. Red candles were centered on all of them. You could swear you saw Chappell or Stanhope lurking in the shadows. The bar stools were lined with local comics running their punchlines by their contemporaries. It was authentic, creative, beautiful and in real time. Immediately, I was on the hook like a virgin in a brothel. I tried not to look nervous. Which means my face was the expression of terror. We staggered, all of us, very cartoonish and bull-legged up to the bar. I fancied that was how first-time gunfighters made an entrance in an 1880’s saloon. And at that point, a member of my squad started laughing at nothing. He was already drunk. – I should have given him a pass, he had just flown in from Detroit. Airports have a way of getting you too drunk on layovers, it’s the boredom, and he’d sat through two on his way down. – But instead, I over thought it. I watched the comics glare over like mature sharks do when the first drop of chum breaks the surface. Oh god, I thought, did I just bring the bait? I panicked wondering if they saw me as the type of guy willing to rig a game before I ever play a hand? At that point, I realized my nerves were really getting to me. It was that time – I needed to grab a drink and breathe. I believe bartenders are the unsung Saints of the Big Easy. The Hi-Ho’s was no exception to this rule. He greeted us with compassion, asking if it was our “first time?” We nodded in unison like scared elementary children on that fabled day in late August when the new school district comes calling. But my friend from Detroit just kept laughing. He reminded me of Ed McMahon. I couldn’t pay him any attention. I was trying to be serious. It was hard enough to focus on the empathetic soft-spokenness of the man attempting to serve us drinks. However, when the bartender said Moledo pints under $5, I snapped into my alcoholism and suddenly shimmered down like an old stew that gets better with every bite. Then I upsold myself into a Kettle Citroen on the rocks. I hate flavored vodka but it keeps me real. While the rest of my party devolved into the man from Detroit’s inebriated humor, I mumbled “I can’t take you lunatics anywhere,” and departed from my group to mosey over to what was obviously the Hi-Ho’s troupe, gang, bandits of laughter. These were the backbones of this comedy night, that was clear. I assumed they were sizing me up, the cowboy who just rode into town with a collection of tourist clowns. I figured I better make an entrance. After a short walk, I laid a half-hearted joke out and they all laughed. Then I hit on a few more and before I got cocky, turned to head back to the mayhem I was the chaperone, guardian, ring leader of. One of the guys caught my elbow. I stopped dead in my tracks, expecting a “hey buddy” comment. But no! He invited me to stay. I could tell they knew this was my first time going heels in a comedy club. But their warm welcoming evaporated my tension, every stiff muscle I possessed relaxed in a second. Their acceptance made me pleasantly numb to my nerves. The Moledo and Kettle Citroen were starting to help too. I’d been to other comedy nights, in other cities and none felt as warm as this one. It might be my second biggest takeaway from the night. – let me get back to that at the end of the story. As the comics and I talked, a bearded gentleman came off the stage and slid a piece of notebook paper on a table. The “Sign Up Sheet.” The regulars escorted me over and encouraged me to ink my destiny down before God and country and everything else people confess to. As I John Hancock’d, all I could hear was that Detroit wild-man killing with the audience at the bar. Just ignore him, I kept telling myself like a Buddhist mantra. Then 20 minutes later the same bearded gentleman who was obviously not the stagehand, the man with the “sheet,” invited us, the names on the sheet, to join him outside for a sorta pre-work safety meeting; the kind held before the danger of an open mic comedy night. Duncan Pace has been cultivating Crescent City laughs and hosting the NOLA COMEDY HOUR for over 4 years. Duncan gathered us outside around a flickering lamppost to explain how the show works. The strobing high-pressure sodium illumination made me feel a bit crazy, especially when Duncan paused and the Detroit madman, a man I call my amigo, shouted obscene language from the bar causing everyone to roar. But it didn’t matter. Duncan remained professional. He explained that we had 3 mins, maybe 5, and all we had to do was watch for the-Bob Ross-blue-Burger King neon light to blink behind the sound booth. That was our cue to finish up and let the next hopeful funny have their chance. Easy enough. Then after some inspiring words, the meeting adjourned. The problem was I had to return like a runaway dog to that rust belt insanity. Mr. Motor-City was three drinks deeper and even more outrageous. But as today’s funny beginners began to perfect their craft, hoping to become tomorrow’s hilarious professionals, he finally silenced himself. Maybe it would have been better for me if he would have kept going. At least I would have remained distracted. But instead, the rest of the audience giggled and exploded, while he became pensive. That was when the Hi-Ho’s atmosphere became complete for me. The talent was thick and awesome. The crowd was balanced and fair. I remember thinking, there was no better way to spend a Sunday night in this rampaging town, than laughing the week’s pains, horrors and stresses away. I thought of my book editor and how I couldn’t wait for him to join me in this club someday. Then before I knew it, my name was announced. It was the moment the light came calling. My 3-5 minutes were filled by the story that I had texted that Wednesday morning. Suddenly words from Lenny Bruce’s autobiography were rattling around my head. I won’t tell you how my bit went. But I will tell what I thought while I was on that stage. I thought that the only thing that was grander than the comics inviting me into their fold – my biggest takeaway of the night – was when I realized, this was the start of Mardi Gras, and what else is Mardi Gras besides creativity? To me, Mardi Gras is our bold chance to be creative for no reason other than it makes us feel alive. 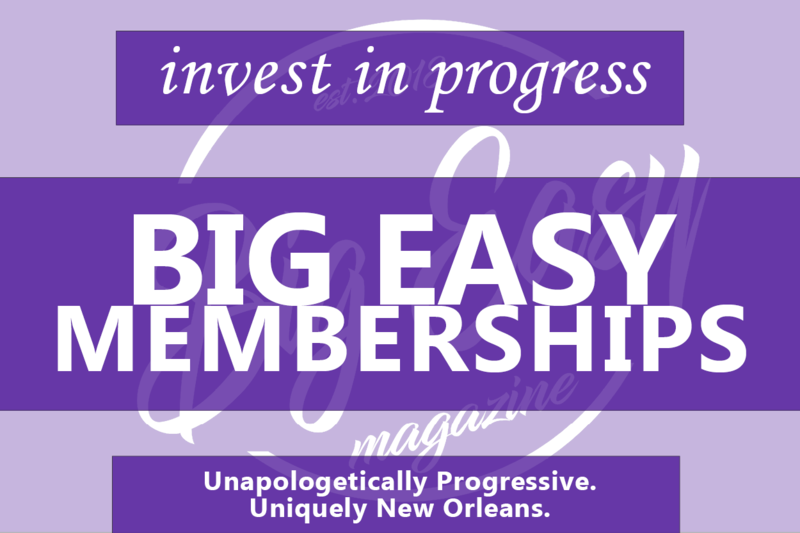 Duncan Pace, Hi-Ho’s host, said it best when he told me, “I’ve devoted myself to giving something creative to this city.” Right then, that made him a true chief of an ultimate krewe, even if it just marched its Second line through the Hi-Ho every Sunday. So I beg you…people of New Orleans, don’t forget this place, don’t let it vanish from your radar. Stop in on any Sunday at 8 pm and prepare yourself for cheap drinks, a classy environment, and great comics. And please, don’t be afraid to laugh through the madness in a city built on creativity. I know my friend from Detroit isn’t afraid to.